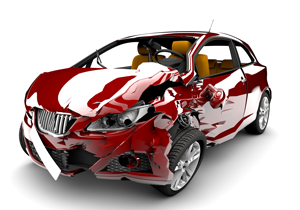 Accidents in Tamarac happen, and sometimes those accidents lead to serious injuries requiring an accident attorney serving Tamarac. A personal injury attorney is there to help you get compensated for wrongful and negligent injury. While not all injuries require an attorney serving Tamarac, some of the more serious injuries where you lose the ability to work for a time do require some help in getting compensated properly. Car accidents are a common occurrence in Tamarac, and can sometimes leave you unable to work. In cases like this, liability is often contested and the opposing insurance adjustor will often call and try to diminish the value of your claim or prove that it is your fault. This is where having a personal injury attorney serving Tamarac would be beneficial. They act as an intermediary and reduce your risk of unfairly not getting compensated for injuries and loss of income. A Tucker Law Accident Attorney Serving Tamarac Can Help You! Manufacturers of defective products are also liable for injuries caused by their products. Florida laws protect the buyer by placing strict liabilities on the manufacturer, meaning the company is assumed to have been negligent the moment a plaintiff shows harm. This can be for toys, food, or other products. Having a personal injury lawyer in these cases can benefit your case. Negligence can also appear in the medical field as medical malpractice. There is a standard of care all physicians are supposed to follow. When this standard is not upheld, it leads to misdiagnosis, operations that are not necessary, and treatments that caused damage to the body. A good example are reports of neglect and abuse in nursing homes, which can lead to injuries or wrongful death. Florida law automatically holds any type of medical provider liable for all negligent behavior, leading to compensation for the person injured or their families. There are a variety of things that can go wrong everyday, leading to you getting injured and unable to work. Personal injury attorneys serving Tamarac can help you get the compensation you deserve for medical expenses, lost income, and the pain and suffering you endured because of your injury. Do not let yourself miss out on using the Florida laws and statues that are in place to help and protect you. Let a Tucker Law Accident Attorney fight the insurance company on your behalf to seek maximum compensation.